Levante will take to the field against Girona on Friday as La Liga (Spanish top-flight football league) returns to action after the winter break. Levante will take to the field against Girona on Friday as La Liga (Spanish top-flight football league) returns to action after the winter break. Both teams have had satisfactory displays as Girona handled the departure of coach Pablo Machin and injuries quite proficiently , while Levante has maintained their momentum as well. The battle is going to be a crucial one as both ninth-placed Girona and tenth placed Levante are tied at 22 points, only separated by goal difference in the la liga. The Catalan club are fighting an injury crisis with several players sidelined, while Levante’s decent run of games wre put to a halt after a 2-1 defeat against Barcelona. A win for either side will be crucial tonight. What time does the Levante vs Girona match in the La Liga 2018-19 season start? 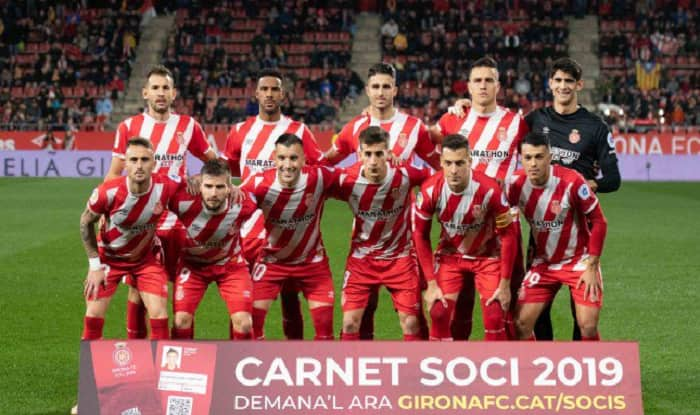 The Levante vs Girona match in the La Liga starts at 11:3o PM IST, 4th January, Friday. Where is the match in the La Liga 2018-19 season being played? The Levante vs Girona match in the La Liga is being played by at Levante home stadium. Which channel will telecast the Levante vs Girona match in the La Liga 2018-19 season? Levante vs Girona match in the La Liga may not be telecasted on Sony ten network. How to watch the live streaming of Levante vs Girona match in the La Liga 2018-19 season? The Live streaming of Levante vs Girona match in the La Liga will be available on La Liga’s official Facebook page.